Moscow and Kiev broaden co-operation in the military sphere by lifting obstacles to the presence of the Russian fleet in the Crimea. The 59th meeting of the Council of the Defense Ministers of the countries of the Commonwealth of Independent States (CIS) was held in Ukraine’s Crimea on Wednesday. The ministers analyzed the issues of military integration and the implementation of the military co-operation concept for the period up to 2010, Interfax news agency said. 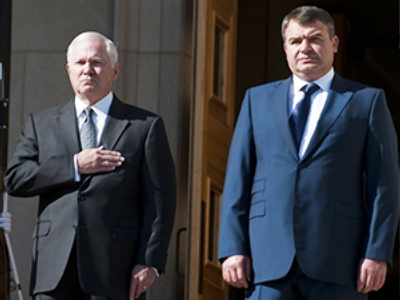 Russian Defense Minister Anatoly Serdyukov also discussed bilateral co-peration in the military sphere with his Ukrainian counterpart Mikhail Yezhel. 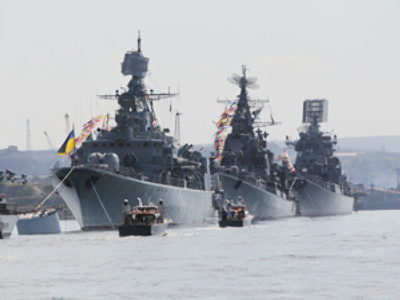 They signed a protocol according to which Russia’s Defense Ministry will inform Kiev about Black Sea Fleet’s personnel, military hardware and weapons. In the past, this issue provoked arguments between the two countries, Rossiyskaya Gazeta daily said. In the basic agreement on the presence of the Russian fleet in Ukraine many details had not been specified, and each side insisted on its own understanding of the document. “As a result, any scheduled long-distance journey of our battleships was accompanied by maneuvers of the host country,” the paper said. The situation was especially tense during the conflict in the Caucasus in August 2008, it added. In the near future, Russia and Ukraine will also sign an agreement “to replace the Black Sea Fleet’s military hardware and weapons,” Serdyukov said. 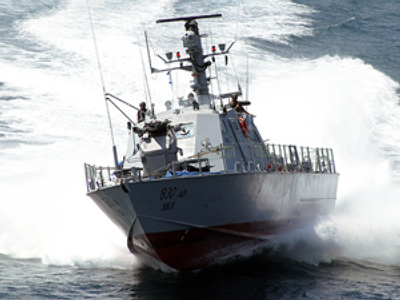 It will allow the fleet to maintain the personnel and hardware at the level of basic agreements of the 1997, the minister stressed. Moscow and Kiev will also broaden co-operation in conducting joint military exercises. In summer 2011, together with other CIS countries they will conduct exercises in Russia’s Astrakhan Region, Serdyukov said. Meanwhile, CIS governing bodies and the defense ministers are developing a concept for military Ã‘Âo-operation up to 2015. The previous five-year concept’s provisions “have on the whole been fulfilled,” Sergey Lebedev, the chairman of the CIS Executive Committee, said on Wednesday. “The effectiveness of our partnership was confirmed in the course of joint work,” Lebedev said, according to Itar-Tass news agency. The draft document will be submitted to the CIS heads of states, he added. New era for Russia and Ukraine?